According to a recent study, about 40 percent of natural gas line damages involve lines cut because of errors by contractors, construction workers or residents. Most of these incidents are avoidable. As part of its year-round emergency preparedness program, Public Service Electric and Gas Company (PSE&G), New Jersey’s largest utility, conducted a gas safety exercise in Moorestown Friday, April 15. During this exercise, PSE&G simulated construction damage to a gas pipe in a residential neighborhood and practiced a coordinated response with other first responders. Utility crews were on site with the police and fire departments to walk through the steps needed to respond to an emergency. The area was safe for residents. Open windows and doors to ventilate the building. Leave your home as quickly as possible and move well away from the building. Take all others with you. If the odor is noticed outside, get well away from where you suspect the gas is leaking. 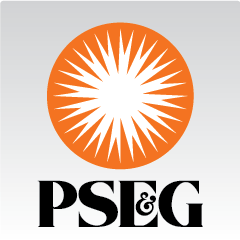 Call PSE&G immediately at 1–800–880-PSEG (7734), or call 911. Contractors, excavators and customers should always call 811 to request a mark-out before digging to avoid hitting underground pipelines, conduits, wires and cables. This service is free, and absolutely critical to avoid injuries and disruptions to vital utility services. Every digging project, even a small project like planting a tree or building a deck with hand tools, requires a call to 811.